The Work Behind a Workhorse Website | Lion's Share Marketing Group, Inc. In a previous post we discussed the benefits of what Lion’s Share calls workhorse websites—websites that reduce labor costs and valuable employee time while serving a critical function for your business. Whether you need a website to engage customer service, enable information exchange, deliver software updates or to perform other heavy-lifting tasks, the workhorse lives up to its name and can help generate sales to boot. But not every website development firm is up to this potentially quite complex task. How exactly do you go about creating such a site and what sort of skills do you need in your arsenal? Unlike billboard websites, workhorse websites require more than just great design and site architecture—though these are important, here, too, of course. Workhorse websites tend to be infinitely more variable in the development process and demand a nimble, technologically savvy team. Helming that team should be a project manager who can translate requirements between the various languages of designers, coders, stakeholders and end users while keeping the ultimate goal in mind: increased, reliable functionality with an easy-to-use interface. You also want someone with the experience to recognize what works and what doesn’t; what’s realistic and what’s not. We’ve found that when people try to expand their website beyond the simple “billboard” they often struggle to ground their ideas into attainable goals. You may have a hodgepodge of millions of great ideas, but you can’t build a hodgepodge into a website. As with everything, simplicity rules here. Your site will be most effective with a few key functions. Part of the website’s project management is managing expectations and anticipating complications. This is one situation where you definitely don’t want a Yes Man. You don’t want a contractor to agree to all of your ideas simply because a bigger site means more work hours and more money. We’ve seen cases like this where the resulting site’s design is confusing, its functions unnecessary and its overall efficiency is subpar. A key quality in a contractor who will help you build your site is the ability to edit, even if it means focusing on just 20 percent of the imagined site. In the end, you will have a stronger product. 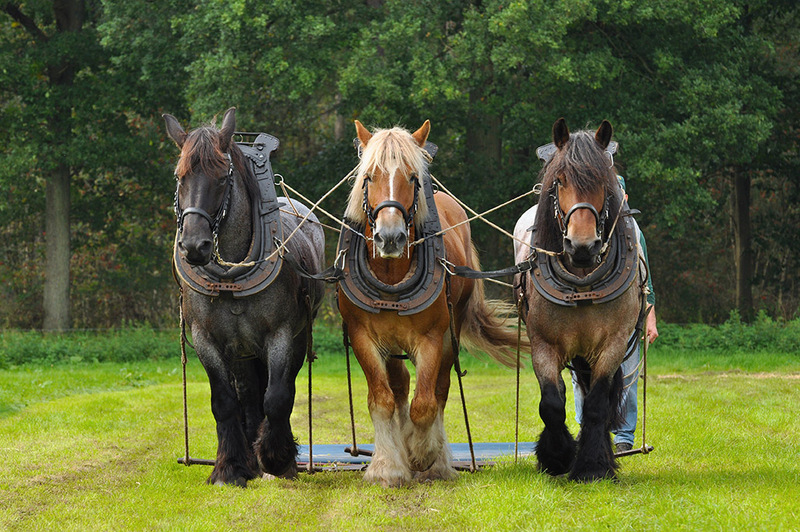 Before your workhorse website can do its job, there’s much work to be done. But with the right team in place, you’ll be thrilled with the results. To learn more about Lion’s Share’s workhorse website services, contact us today.